Teaser Tuesdays is a meme hosted by Should Be Reading. Grab a book you're currently reading and post a teaser (no spoilers) to persuade others to read the book. It hits me with the force of a blow: the understanding that I'd rather die than know I might never have a chance to truly, finally, kiss Delilah McPhee. 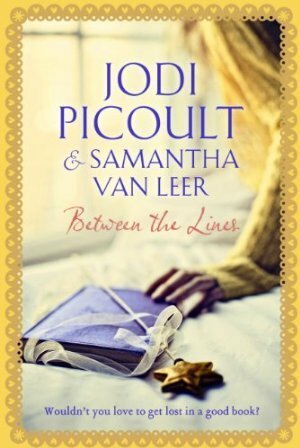 - p. 86 Between the Lines by Jodi Picoult and Samantha van Leer. I was tossing up whether or not to buy this the other day. Nice teaser, thanks for sharing! Very interesting teaser. I'm on the fence about whether to read this book... further investigations is required. Happy reading! I hope you'll stop by and visit my teaser! I'm with them ^ I'm not sure if I want to read this or not, it seems like a nice pass the time kind of book though.